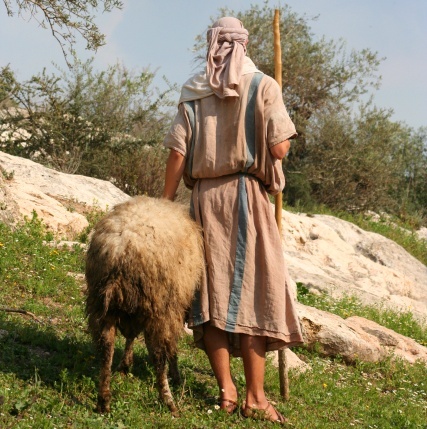 In Jesus’ time the shepherd was a well-known and relevant person. The example of sheep being lost was not lost on the people he spoke to. He spoke of himself as a shepherd. Pope Francis made headlines by saying that pastors should know the ‘smell of the sheep’. It means that in our Christian communities we would know the needs, frustrations, poverty, hopes and the dreams of people. Also that we might know and accept people at their worst. Sheep don’t smell good! Pope Francis also speaks of parishes as ‘islands of mercy’. Our Christian places need to be homes where the God of mercy can meet his people. The church reaches out to the real messiness and injustices of society and ordinary life. It is not a place of the elite of God but of ordinary sinful people trying to do their best for their families, their pupils, their parishioners and themselves. The motive for this is compassion. This is how Jesus reached out to them. This is to be the mark of the true Christian family, community and the individual Christian. Compassion is the willingness to walk in the shoes of another person, to try and understand the joys and sorrows of their lives and their hopes. For some life is a constant battle to survive. It is for these especially that the church – the body of Christ – now exists. This entry was posted in Gospel of Mark, Gospel Reflection, Liturgy Resources, Prayer Resources, Scripture, Year B and tagged 16th Sunday Ordinary Time Year B, Caring Church, Christian Community, Church, compassion, Donal Neary SJ, Gospel Reflection, Gospel Reflection for July 19th 2015, he took pity on them, islands of mercy, Jesus, Jesus Christ, lost sheep, Mark 6:30-34, Pope Francis, shepherd, smell of the sheep, Sunday Gospel Reading and Reflection, Sunday Scripture and Reflection for 19th July 2015.